The trusty sabre, a weapon of choice for nearly 200 years. Corsair have reimagined this trusty one handed sword into a lightweight gaming mouse with consideration towards fast paced action games such as FPS, RTS and MOBAs. To help gamers along the way, the mouse weighs a mere 100g and is ergonomically designed to be suitable for various grip types. It features 4 zone customisable RGB lighting (front, wheel, logo and profile indicator), Omron switches, 8 programmable buttons, 1000Hz polling, and a 1.8m braided easy-flex USB cable. The listed features above, as some may be aware, are identical to the previous Sabre RGB mouse, though there are a few exceptions. 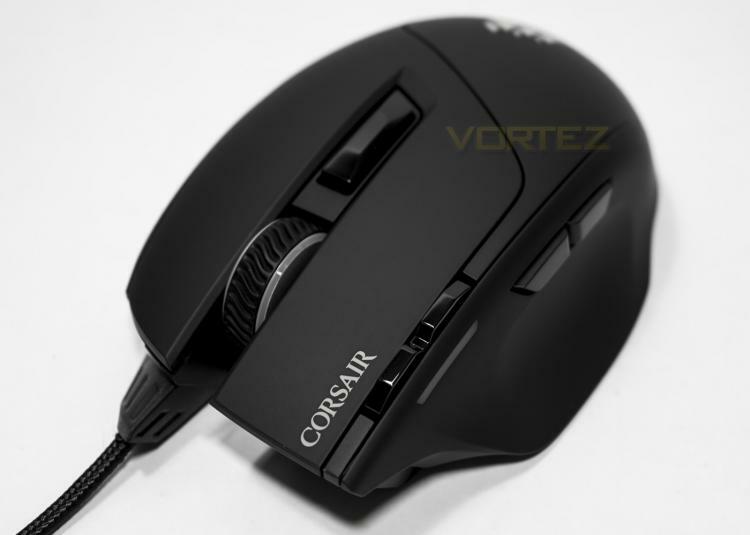 One of which is the use of the more attractive sails logo as opposed to the Corsair Gaming logo, and of course Corsair have upped the resolution from 6400 DPI to 10K DPI. This is likely to appeal to those that are gaming on a high resolution/multi-monitor setup that requires a higher resolution mouse to span the screen/s with a more convenient hand movement.